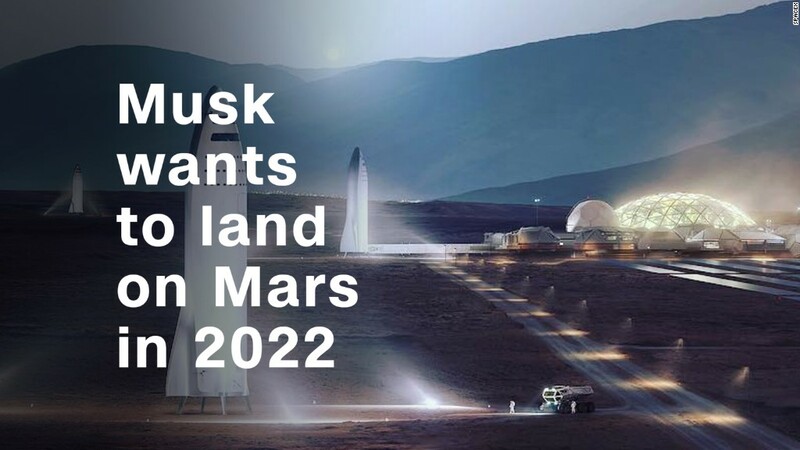 SpaceX plans to open up shop at the Port of Los Angeles where it'll work on research, design and development of its Mars rocket. Los Angeles officials said Monday that a tentative lease agreement would allow SpaceX to take over a dormant building at the port in a move that could bring as any as 700 jobs to the area. The deal is expected to be approved by board of harbor commissioners on Thursday. SpaceX won't have to pay rent for the facility for more than two decades. It will get more than $40 million in rent credits for renovating and upgrading the facility, which has been vacant since 2005. The company will not receive any subsidies from the city. The Big Falcon Rocket is at the heart of CEO Elon Musk's plan to settle a colony of humans on Mars. Musk said in February that SpaceX will soon go all-in on the bold idea and begin dedicating its engineering talent to developing the BFR. His remarks came after SpaceX aced the inaugural flight of the Falcon Heavy, which became the most powerful rocket currently in operation. Musk said the Falcon Heavy's success gave him "a lot of confidence we can make the BFR design work." The BFR consists of two major parts: The bottom rocket booster, which is designed to hoist the top portion, a towering spaceship, out of the Earth's atmosphere. Musk also has some Earth-based plans for just the spaceship: carting humans around the planet at breakneck speeds. He said the craft will be able to fly people from New York to Shanghai in half an hour. At the SXSW conference in Austin last month, Musk said construction of the first BFR spaceship was already under construction. "We are building the first ship, or interplanetary ship, right now," he said. "And we'll probably be able to do short flights, short up and down flights, during the first half of next year." And last week, he gave the public its first glimpse of some BFR parts in an Instagram post. The deal with the Port of Los Angles will give SpaceX up to 200,000 more square feet to work with. Gwynne Shotwell, president and chief operation officer at SpaceX, said in a statement Monday that the port will "play an increasingly important role in our mission." And there's a practical reason for setting up a seaside construction facility for BFR. "The rockets, once complete, would be too large for responsible transport by road and thus must be transported by barge or ship," according to the resolution that will go before the Los Angeles Board of Harbor Commissioners. SpaceX also has plans for a waterfront launch site in the small village of Boca Chica, Texas.